This is a design I made this past weekend based off a simple principle: What you do is what you love. If you really believe in something and love it, you’re going to do something about it. And in a different vein, you do what you love, you’ll never work a day in your life 😀 (because it won’t feel like work). So what are you waiting for? 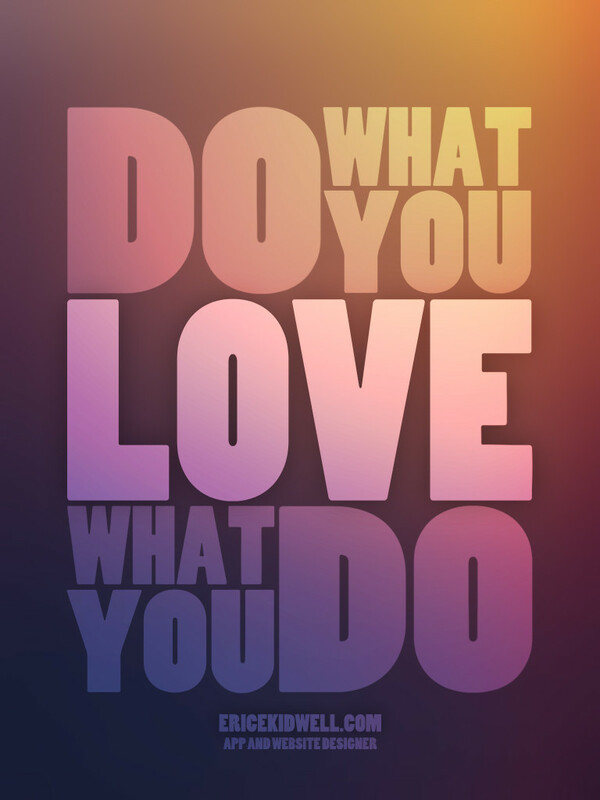 Go do what you love and love what you do. Want this design on your iPhone, iPad, facebook cover, or desktop on your computer? Check back again tomorrow!